There has been a house on this site since 1689, although the original home was pulled down and replaced by Lord Cowper, although I have been unable to find a date for that. The gardens and grounds were originally designed by Sir Humprey Repton. It is said that the place in haunted by own time owner Lady Cathcart. Her ghost is seen gliding among the trees and in one particular room of the house. Alfred Beit, the financier, took over the tenancy in 1888 and later bought the property. He was succeeded by his son Otto John Beit, who was given the Baronecy of Tewin Water in 1924. Tewin Water was purchased by Hertfordshire County Council in 1950 and became a school for deaf children in 1953. It continued until fairly recently when the school moved to Knightsfield and the building was converted into luxury apartments. My mum attended this school in the 1950s and was sent there from her family in Norfolk. Although she missed her siblings and parents she has fond memories of her schooling but was disappointed that she was never taught sign language and has to rely on lip reading still now. I’d love to learn more about the school and maybe find some of the classmates that she had. I think it was before 1953 that it became a school for the deaf. My brother Terry Barton was born in 1942 and would have been 11 in 1953, but I know he went earlier than that, because they were encouraging him to transfer to Mary Hare School at 11. I was still in infant school when he left the juniors to go to Tewin. I would say he went there in September 1951. I would have been 6. The school let us use the pool which was great. 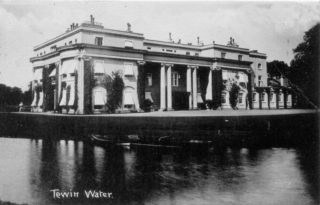 I used to live at Tewin Water in the big house when I was around 7 – 9 years old. The house had been converted to flats, we were on the top floor and my dad managed to drop a full sized piano down the main staircase!!! The long drive was used for race car time trials and was very exciting. I used to go for swimming lessons at Tewin Water School too from Rosedale School – also now long gone! I can remember the freezing cold water but it was a day out and I got my certificate for swimming 25 yards! Discovered later taking part in the Howard School swimming gala at Lea Valley swimming pool that 25 yards was all I could swim and I sunk beyond that!! Oh happy days! Went to Tewin Water School from 1980 til 1990. Stayed extra year as I went to St Albans all campus college. Had a lot of great memories in this school. Such a shame it’s no longer there. My foster father would be really disappointed to see it had gone as he was part of the govor of the school. Hi i learned to swim at tws and was at homerswood school it was freezing cold and the changing rooms had cold drafts blowing in. At a later date we started going to hatfield swim pool. I remember going to Tewin Water from school for swimming lessons. Our bathing costumes were navy blue and wool and as soon as they got wet they stretched, and stretched some more!! I never learnt to swim there. I remember walking from Harwood Hill School to go swimming in their freezing cold outdoor pool. It wasn’t tiled as they are now and it didn’t look very clean. And we used to go for family walks through the daffodil fields, a real sight, there was hardly any space not covered in yellow. Was at Tewin Water School from 1983 to 1986 for three years till my parents moved me to school with better educations (and follow my brother!). I have always missed Tewin Water as they were part of family and funs we used to have after school! the Housemothers we always love and get told off if we gets naughty. It is a shame that the house is no longer running as school and it had loads of characters. Have always wondered if the picture up on the high ceiling by the main stairs still up there? Wish we could see the photos what the house like now since the flats/apartments took over, is the hallway, mainstairs, games rooms still the same?. I was glad to be part of Tewin Water even for 3 years. This must be where I went swimming with Templewood School in the summer of 1963: I’d just arrived in WGC and was due to start at the Grammar School in September, Templewood took me on in the interim with the caveat that they probably wouldn’t teach me much! I knew it had been somewhere around the viaduct but was otherwise disorientated: found it on a map in the 1954 Handbook via this website. 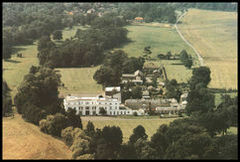 I went to the TWS in1953 when it was first opened had great years there and we still keep in touch with one another. as we have reunions every year. but Kelvin Scott if you went there you are not on our books.??Why?? I was a pupil at Tewin Water from 1980 to 1985.Oh my what a great years i had,staying at this ‘white house’ school.Lots of fun and pleasure.Shame it all ended and now into new flats.I hope these flat owners looked after these building. When I was a pupil at St.John’s C of E school at Digswell, we used to walk to Tewin Deaf School to go to see their pantomine. The shows were brilliant. We also use to walk to Tewin to go swimming in an outdoor pool. I still dislike swimming 40 years later. There is a small amount of film footage of Tewin Water house shot by its late occupant Sir Alfred Lane Beit. He lived there as a young man. The footage was shot in the late 1910s/ early 20’s and pictures him and his friends at play in the gardens – punting on the river/ flying a model aeroplane. It’s such a pity the house was turned into flats. It has such a rich history.